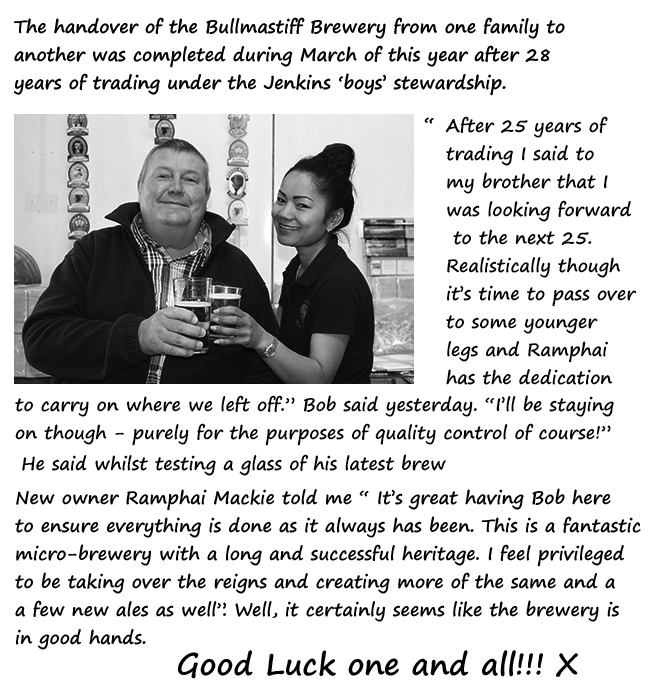 The Handover of the Bullmastiff Brewery from one family to another was completed during March of this year after 28 years of trading under the Jenkins 'boys' stewardship.
" After 25 years of trading I said to my brother that I was looking forward to the next 25. Realistically though it's time to pass over to some younger legs and Ramphai has the dedication to carry on where we left off" Bob said yesterday. I'll be staying on though - purely for the purpose of quality control of course" he said whilst tasting a glass of his latest brew. 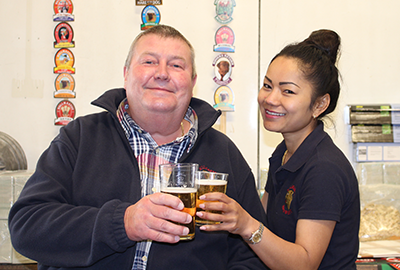 New owner Ramphai Mackie told me " It's great having Bob here to ensure everything is done as it always has been. This is a fantastic micro-brewery with a long and successful heritage. I feel privileged to be taking over the reigns and creating more of the same and a few new ales as well" - Well, it certainly seems the brewery is in good hands!! Great Scott – Looks who’s joined the team! 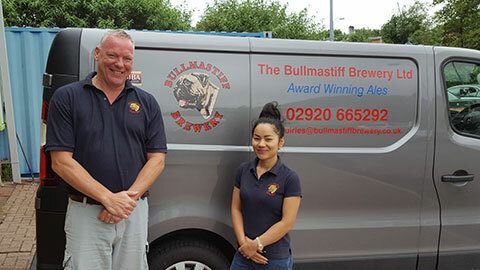 Earlier this year Scott Murray, Penarth born and bred, joined the Bullmastiff Brewery team. Scott brings with him a wealth of experience having been part of the brewing industry for 3 years most recently as an account manager with the Glamorgan Brewing Company. Scott is married, has two kids and went to St Cyres Comprehensive School in Penarth. His favourite pint (other than one of ours) is a nice glass of Lagunitas IPA - Delicious! Welcome to the team Scott......time to get brewing!